Bally's Indianapolis 500 had a racetrack in the top right corner on which an Indy car races around in a loop. 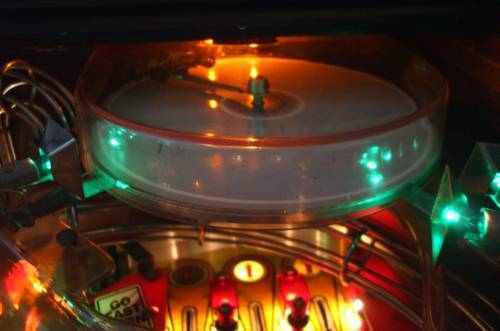 However unfortunately this part of the playfield is not well lit, especially when you play this game in a dark room it is very hard to see the quickly spinning racecar. 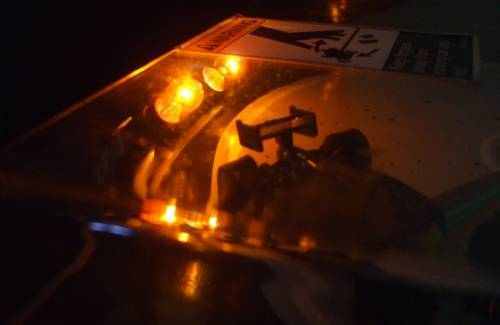 Therefor you can add one or two lightbulbs on the backpanel of the game, behind the racecar circuit. Orange or red lightbulbs look best. The lamp holders may need a little bending to make sure the car doesn't hit it. 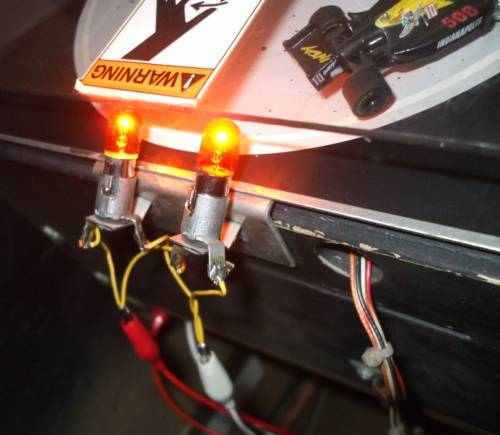 In the picture they are connected into the GI lamps using crocodile clamps but you can use a connector or solder them into the GI string. The extra lights installed, the small racetrack is much better visible now. 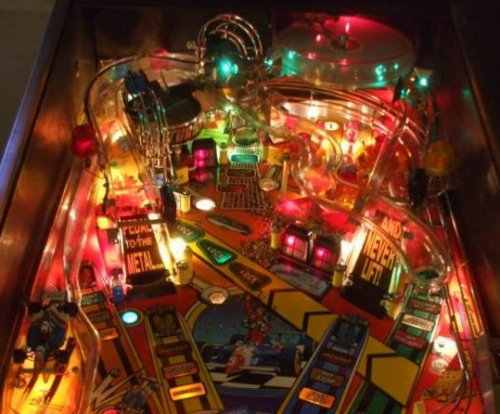 Playfield overview with the extra lamps installed. In this picture red lamps are installed, these also look good together with the rest of the game.